As soon as you walk through the doors, we consider you to be part of the congregation. You are welcome to worship with us as often as you like. We invite your children to participate in our exciting Sunday School and youth programs. Young, old or in between, we have a place for you. Please come and join us for worship or for any of our many programs. We are eager to know you and grow in faith with you. Welcome! Sunday Mornings at 8:00 a.m. and 11:00 a.m.
Summer worship schedule begins on May 26, 2019 and ends on September 8, 2019. During the summer we have one worship service at 10:00 a.m. Whether you’ve attended church your entire life or never been at all, we know it’s not easy visiting a church for the first time. 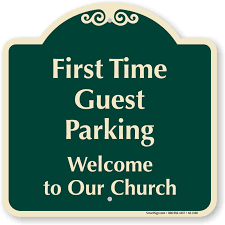 We want to provide the best experience possible, from the moment you walk up to the building or drive into our lighted parking lot in the back of the church on the corner of Lapham and 76th Streets. 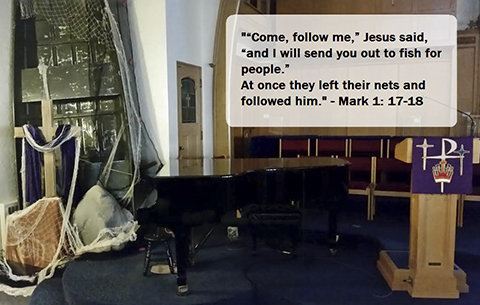 So what is a Sunday morning like at First United Methodist Church? Look for the Welcome sign in the parking lot. A parking space is reserved for you. You will be greeted at the door. A heart felt greeting is part of what makes a church a church. Our greeters will welcome you as you enter the door. They will help you find a seat, or help locate the nursery or a Sunday School classroom for your children. No matter what questions you might have, they are there to answer them. Complimentary gourmet coffee is served near the entrance to the worship center for all our guests. Before or after our worship service, join us for some gourmet coffee and Christian fellowship in a casual atmosphere where friendships can develop and relationships deepen. This is a great time to experience our church family and ask questions. Expect people to notice you, introduce themselves and reach out to you in love and conversation. A church is about joy, the kind of joy that comes from a real connection with God and others. You are also welcome to participate in one of our faith strengthening study groups or have your children attend a Sunday School group during the time between our two worship services. We have two services every Sunday at 8:00 a.m. and 11:00 a.m. Each service lasts about an hour, and you should arrive 15 minutes early if you have children. That will give you plenty of time to check them into our staffed nursery before the service begins. Greeters at the front door will help direct you. Whatever you want! We welcome jeans, t-shirts, ties, tuxedos…you get the idea. Come as you are for any worship service. First United Methodist Church is conveniently located in West Allis, Wisconsin at 7520 W. Lapham Street at the intersection of Lapham Street and 76th Street. Visit Google Maps, or for detailed information, visit our Contact page. Greeters will be available at the entrances to guide you and answer any questions. The sanctuary is located just beyond the main doors. For more information, email us at fumcwaoffice@fumcwa.org or call 414-774-5500. We look forward to seeing you soon!